The Mary Baker Historic House in North Groton, New Hampshire. Last year, as the newest Trustee on the Longyear Board, I felt it was important that I visit all eight of the Mary Baker Eddy Historic Houses in the Museum’s collection. So my wife, Pamela, and I decided to join one of Longyear’s Mary Baker Eddy’s New England tours. At first, we were expecting a typical historic house tour like so many others we’ve been on. We were so wrong! We quickly learned that these homes represent waymarks on the path of Mrs. Eddy’s spiritual progress as the Discoverer, Founder, and Leader of Christian Science. We also found that they provided us with insights that helped enrich our own study of Christian Science. Let me give you just one example. 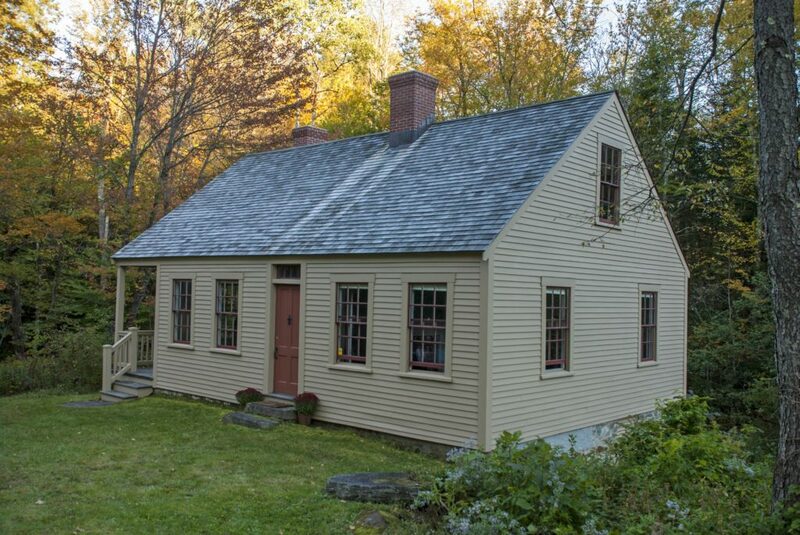 The first home we visited was in North Groton, New Hampshire. As we drove up the winding road beside Hall’s Brook, it was clear that we were traveling to a remote spot. Mrs. Eddy must have felt the isolation of this little village keenly. When we arrived at the small, four-room home, our Longyear guide told us about what life was like for Mary here. She had arrived with hopes of being reunited with her son, George, but her husband, Daniel Patterson, had different ideas, and George wasn’t welcome in their home. In addition, Mary was ill much of the time, and her husband’s business soon began to fail. 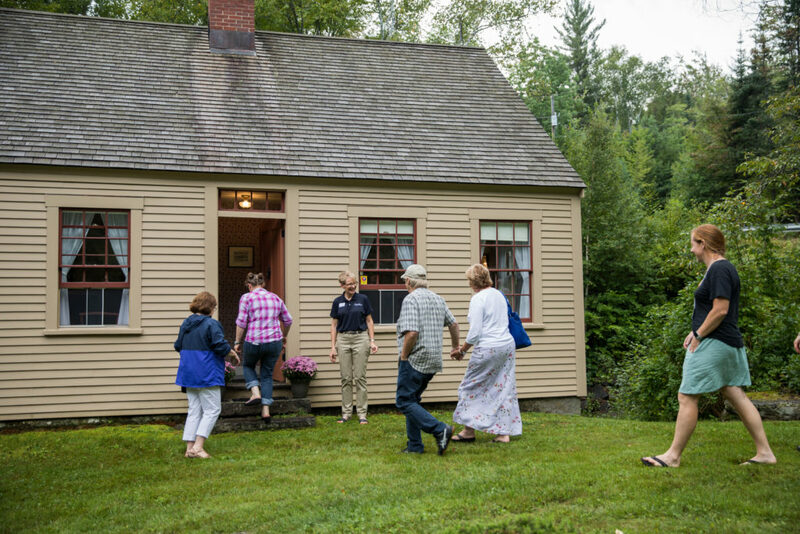 Visitors enter the home where Mrs. Eddy lived from 1855-1860. As the tour progressed, we were able to trace divine Love’s provision for Mrs. Eddy, from the earliest home in North Groton to her final residence at 400 Beacon Street in Chestnut Hill, Massachusetts. We glimpsed something of her spiritual journey through the portal of these homes, and felt immeasurably enriched by the experience. As Treasurer of the Longyear Foundation, I know first-hand the importance of your support. And thanks to this tour, I now know first-hand the importance of preserving these homes — and the stories they tell — for generations to come. Won’t you join with us in this work by contributing to the Mary Baker Eddy Historic House Fund?